The biggest social style hit at the Grammys? Pharrell's hat! Last night at the Grammys, most of us were checking out the red carpet for beautiful gowns and handsome men in their finest suits. Then came Pharrell Williams. The musician took to the red carpet in a most interesting ensemble. However, for the purpose of this piece we're just going to concentrate on what was happening up top there. 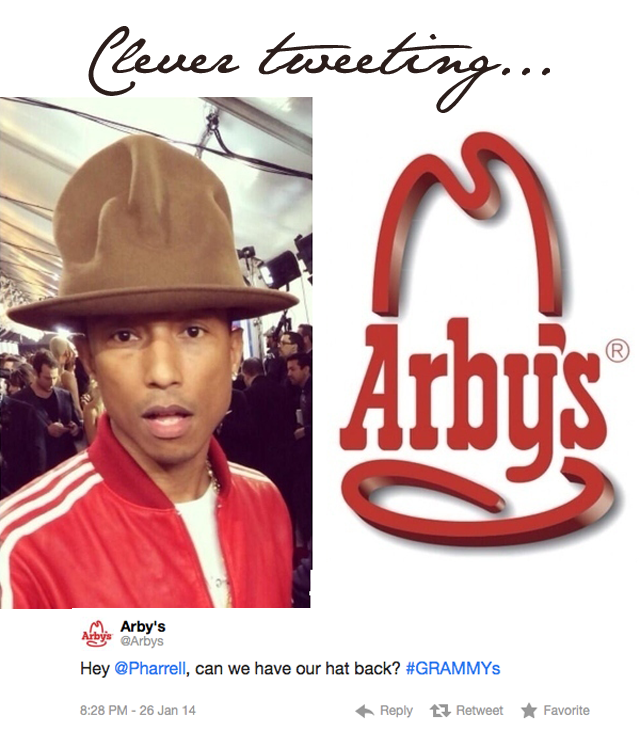 Pharell wore a hat that, well, let's just say was a showstopper. While most people were scratching their heads and wondering what sort of style statement he was meant to make, Arby's (the fast food joint) saw a grand opportunity. This is how you do Social Media, people.